Whether you’re a parent of a student or a friend of the Preucil School of Music, your help is vital to the success of our programs and special events. The students, faculty and staff enjoy collaborating with you, and we appreciate your time and energy! Many parents ask us to recommend a level of volunteer commitment. Here’s our suggestion: If your schedule permits, please sign up for one activity for each child, per instrument. (Example: If you have 2 students who each play 2 instruments, sign up for 4 activities.) You can indicate your choice at registration by completing one volunteer card for each activity. Of course, you may certainly sign up for more than our suggestion! And thank you for your commitment. Are you interested in serving on the Preucil School of Music Guild? 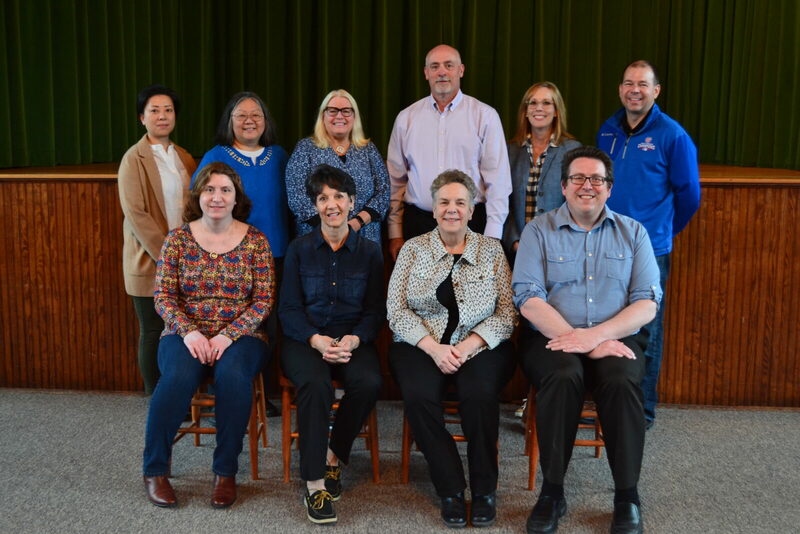 This creative group is a subcommittee of the Board of Trustees and supports the work of the Board and the School. This group is vital to the overall success of our special fundraising and community events, which are planned and organized by the Guild. The Guild meets the first Tuesday of each month when event planning is underway. The Preucil School is looking for several parents to collect our recycling (usually paper, plastic, cardboard and returnable cans and bottles) and take it to the recycling center or home to your own recycling bin. We need volunteers for both the Main Campus and the North Campus. Indicate which campus and which month you’d like. About once a week during your scheduled month, stop by the school office and ask if there is recycling that needs to be taken away. The Preucil School needs photographers to submit pictures to the school office for use in publicity materials, the Fanfare newsletter and Annual Report. High quality photos, 300dpi or higher, are requested. Photos from all Preucil events are welcome–student recitals, group/orchestra rehearsals, play-ins, masterclasses, orchestra festival, piano workshops, Concerto Day, Certificate Program, established ensembles, chamber groups, private lessons, graduation, etc. Exception: Cameras will not be allowed at the Annual String Concert. Check with your teacher for your child’s recital date, day and time. The School is open approximately 30 minutes before the recital. Parents/participants will bring food to the kitchen area. Receptions are held in the assembly hall (Bogen Hall). Set up table(s); tablecloths are in storage cabinets in Bogen Hall. (Leave dirty tablecloths on the bench outside Tom’s office after reception). All napkins and paper cups are provided by the school and are in the lower kitchen cabinets. Make a simple clear punch with either frozen juice (clear) or fruit flavored canned juice (clear) and 7-Up. To calculate the number of servings you will need, count the number of recitalists on the program and triple that number. 7-Up is provided by the school, and will be chilling in the refrigerator. The punch bowl and ladle are in the kitchen cabinets with all other supplies. Arrange cookies/food brought by the parents/students. Some trays for cookies are in the lower left kitchen cabinet. Take a look prior to your recital to see if they meet your needs. If there is another reception scheduled after yours, leave the table(s) set up. Wash and dry the punch bowl and trays and return them to the cabinet. Take the trash outside to the trash can located between the building and the parking lot. Trash bags are under the sink in the kitchen area. Vacuum the assembly hall if necessary. Vacuum is next to the wall by the restroom. Make sure both the assembly hall and kitchen area are left in top condition. All School Picnic: Sunday, September 24, 2017, Market Square Park, 4:30 p.m.
Set up beginning at 3:45 p.m.
Senior Graduation: Sunday, May 6, 2018, 7:00 p.m. Junior Class Reception Coordinator: Traditionally done by parents of Junior Class students, coordinate volunteers and organize the table, cups, plates, napkins, punch, etc. Parent Hosts: Work with coordinators and help with food, decorations, flowers, setup or cleanup. The School property occasionally requires maintenance, including painting, weeding, planting, minor repairs, etc. Please list your special skill or interest. The School has occasional events that may require special tasks or assignments such as mailings, posting fliers, event tasks, etc. 2-3 parents needed for onsite presence during the School’s busy Friday activities. Options: 4:15-5:15pm or 5:15-6:15pm. Parents are needed to help measure PSSO (Philharmonia & Sinfonietta) members for their uniforms/dresses. To take place during rehearsals (Mondays, 5:45-7:00) at the North Campus during the month of November. Assist with decorating Walder Hall, Small Activity Room and Studio F in preparation for October Halloween play-ins. Decorations supplied. Time commitment: approximately 2 hours. Set up performance area, by parents and older students who are willing to help. This concert is a wonderful event that involves all string students. Since hundreds of students are involved, it takes A LOT of volunteers for everything to run smoothly. Here are the groups that will perform and what half they will perform in so that you can choose your jobs accordingly. Violin tuners: Will tune during and after intermission. Help tune students’ violins as they arrive. You may be asked to stay and line lead until the students go on stage. Orchestra stage crew: Remove orchestra chairs and stands at Intermission. Clean-up rooms and stage at the end of the concert: Remove any signs, throw away any trash, remove tape from stage and bring any lost items backstage to Preucil employees. Violin line leaders: At intermission you will go to the room assigned and help supervise students and stay with them until they go on stage to perform. You may join the audience when your group goes on stage. Volunteers will be able to see the concert. Concert Orchestra Arrive early to set warm-up room; crowd control, tuning and line lead during sound check and concert. Crescendo Arrive early to set up warm-up room; crowd control, tuning and line lead during sound check and concert. Vivace Arrive early to set up warmup room; crowd control, tuning and line lead during sound check and concert. All Strike orchestra set after concert. Tear down the orchestra at the end of the day. Transportation: provide transportation for clinician to/from airport. Hospitality: Host clinician in your home.